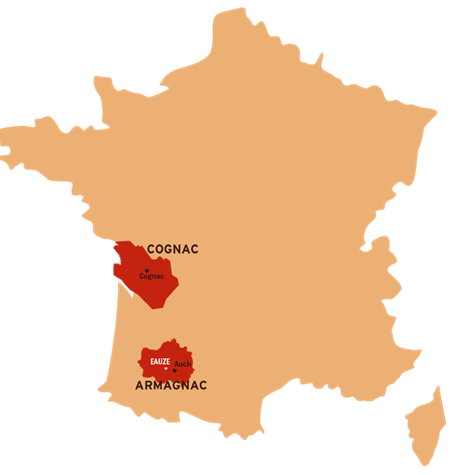 The armagnac climate is more sunnier , the cognac one is more oceanic and humid. Sandy and clay rich in iron in Armagnac that gives a distinctive richness to the product and a chalky soil in Cognac area. Four grape varieties for the armagnac that gives an inimitable complexity to the blend ; only two for the cognac. Armagnac is aged in a black oak from the Monlezun forest. Concerning the Cognac, it's in an oak from Limousin region. 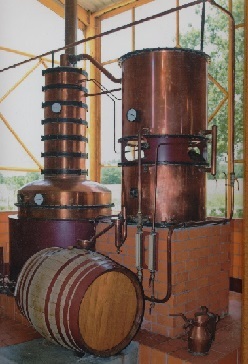 The distillation process is the main difference between the two spirits : Single and continuous distillation for Armagnac that gives more fragrance and flavor, double distillation for the Cognac with a higher Alcohol concentration at the end. They remain specific to Armagnac with an excellent tracability of the stocks. For example, a bottle of 1978 indicates that the Armagnac has been distilled in 1978 wich is the exact year of the crop. On the other hand, Vintages remain rare in Cognac. Furthermore the bottling date used in Armagnac allow us to know exactly the true age of the Armagnac. 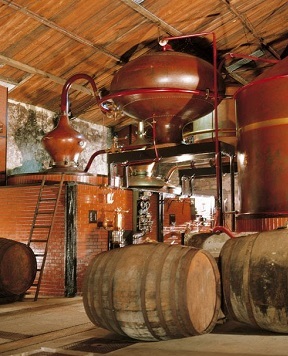 The majority of the Cognac business is industry, the Armagnac’s one remains a hand-crafted production. 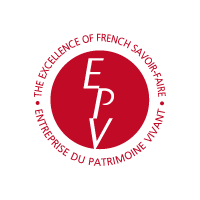 Nevertheless, the rules concerning the labels remain the same in the Armagnac and Cognac areas , the VSOP quality must be aged during 4 years minimum in oak cask and the XO quality 6 years minimum. 5.15 million , is the number of bottles of Armagnac sold worldwide in 2013 against 175 million for Cognac . For 1 Armagnac bottle purchased it sells 35 of Cognac.